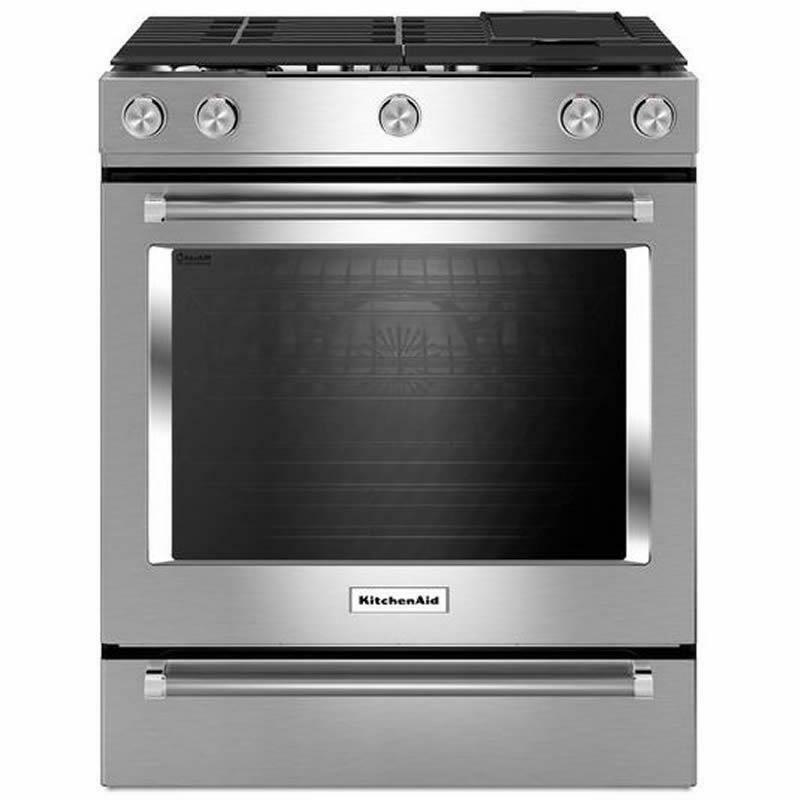 KitchenAid® 30" width gas slide-in single oven features 5 burners, frontal glass touch controls and a steak rack that promotes additional moisture to the inside of the oven. The appliance also provides a baking drawer which adds more cooking options to the oven. The separate compartment allows you to keep warn, slow cook or bake at a different temperature and keep dishes warm.